I am writing this while Logan is, presumably, enjoying his first day of preschool. I have been taking him to preschool since he was 18 months old, but I was always there with him. Toward the end of last year, I could tell that he was ready to be at school by himself. Luckily, I was able to enroll him in a preschool in the middle of the year, in a two and a half year old class in which he did not have to be potty trained. He’s going to be attending twice a week for three hours each day. I have been telling him since his tour of the preschool (where he got to play the whole time) that he was going to go to school on Friday, but he doesn’t really have any reaction to it. He just smiles as he usually does. He is really social, so I know he’ll do well and jump right in with the rest of the class. The car drop off line was a little awkward, and I ran over the curb. 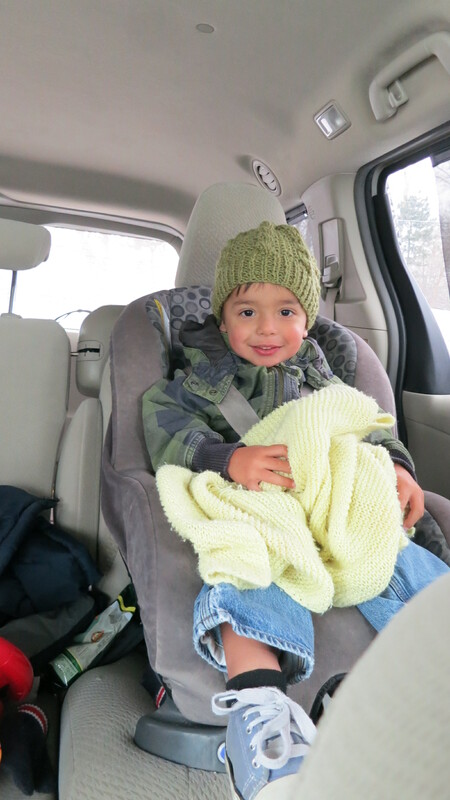 Most parents have their child’s car seat on the passenger’s side, which makes sense in a a drop off line, but Logan was on the driver’s side. So, awkward again, but no big deal. The lady taking the kids inside was nice and she picked him up and carried him into the school. I wanted to take a picture or video, but there were people behind me and it all happened so fast. I think I’ll park when it’s time to pick him up instead of doing the car line, just to make sure everything went well today. Even though this is what I want for him, it is a little sad. This is the start of him going to school…. forever. Well, forever being as long as he’s living with us. Here are some photos I did take of my handsome boy, before we left. 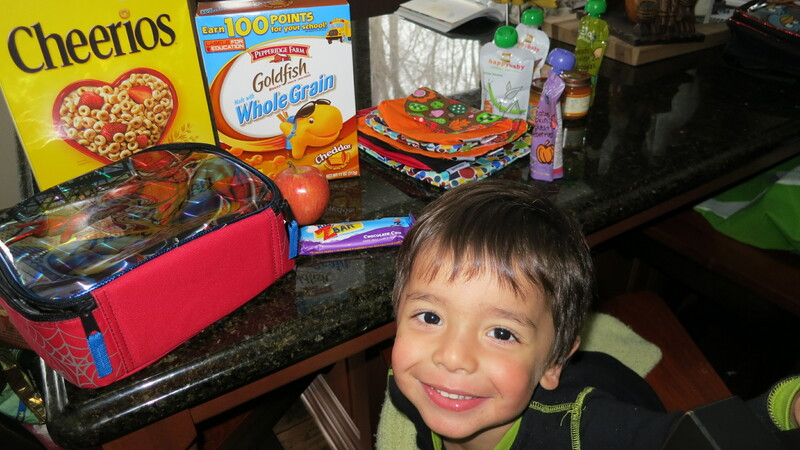 I packed his Spiderman lunchbox with a chocolate chip Zbar, goldfish, cheerios, and a cut up apple. I was thinking of putting some carrots in there to pretend like he eats vegetables, but decided against it. Last time he took a bite of carrot he made a terrible face and spit it out. I also thought of packing his favorite food, peanut butter and butter bread, but that’s a little messy. Plus, he had four pieces for breakfast. 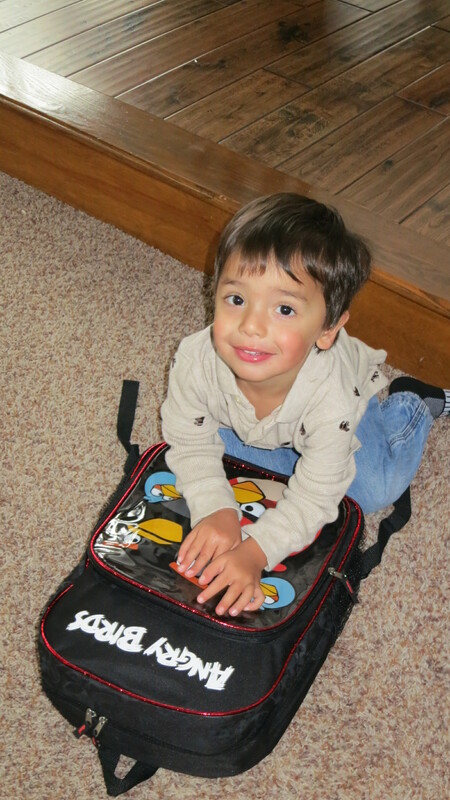 I bought him an Angry Birds backpack, because he loves the game and has the red bird. He refused to wear the backpack, acting like it was making him fall over backward. Whatever. And here we are in the car drop off line, waiting. He has his kiki with him, but no, he didn’t take it into the school. So, here I am, in my quiet house. Mallory is sleeping and I am going to go be productive for about 15 minutes until she wakes up! 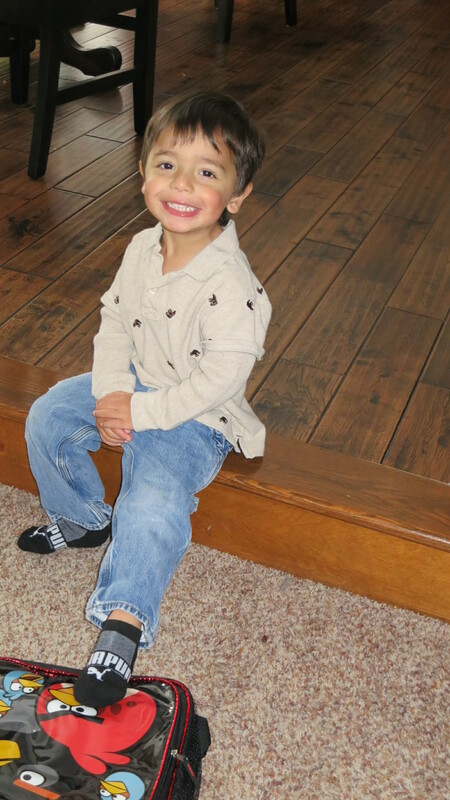 This entry was posted in Parenting and tagged first day of preschool, Logan, parenting, School. Bookmark the permalink.